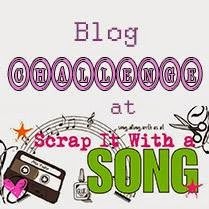 Scrap It With a Song: Another top5 is here!! You ladies took the challenge this week and did such amazing work. I am so impressed and so very inspired!!! 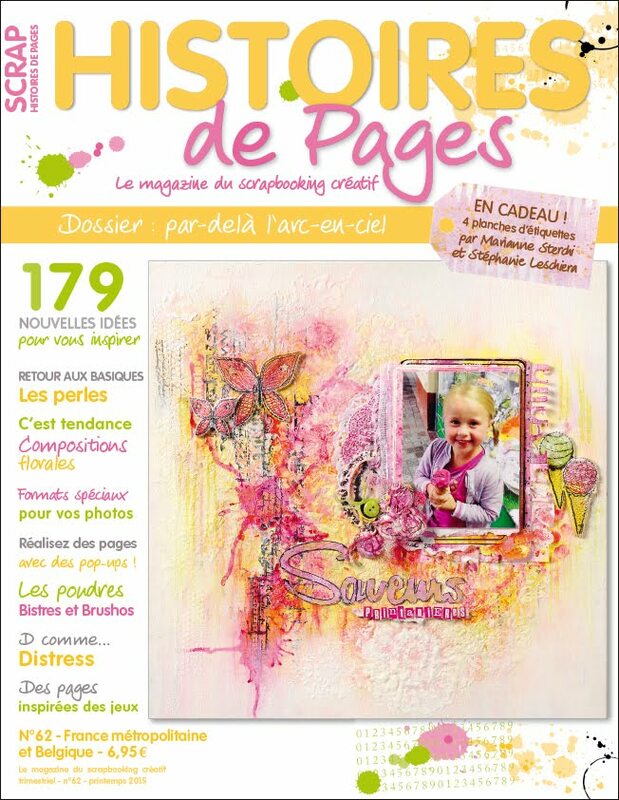 Our sponsor this week was the amazing The Paper Trail!! They are offering our winner this week a $20 gift certificate. That winner is Vanessa. 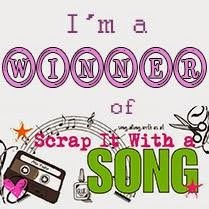 Please contact me scrapitwithasong(at)yahoo(dot)com so I can arrange for your prize. I love the journaling you did around the the round element on your layout and the title is perfect. I love line you used and it goes perfect those photos. It's always nice to see a former DT member come back to play with us and you didn't disappoint. I love the way you incorporated photo choices inspired by the song. Awesome lyric line to use and gorgeous layout! 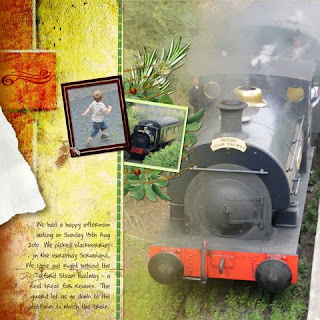 The design of this layout is stunning and the story behind it is so very sweet! The entire top 5 can display the following logo on their blog to show off to all their friends just how much we love them!!! Stay tuned for our next challenge where we will celebrate the summer summer summertime. I am blown away.....look at these!!!! i love em all! Congrats to everyone this week! Congrats!! They are all great LOs!